After running SMC for four years, I cannot believe this is my last update to the webpage. This past year has been particularly hectic with college applications, but the steadiness of SMC was a calming element amid the college frenzy. Thank you to Spencer for submitting CML solutions every weekend and to Abdd for always doing both CML and Mathcounts problems. Thank you to Stephen for helping me find new problems and checking my solutions! I have chosen The Man Who Loved Only Numbers by Paul Hoffman as the book prize. It is about a Hungarian mathematician Paul Erdos. Many of you helped me make SMC possible. I’m grateful to all the mathletes that came to SMC. Some of you stayed multiple years, some brought siblings and some stayed with SMC even when you moved away from NJ. You taught me to be persistent and develop a strong work ethic. I’ve also become good at building WordPress webpages, and I certainly practiced a lot of math which came in handy for my academic team tournaments. I wrote about SMC for some of my college application essays. I’m fortunate to have the support from many parents: Dr. Cao, Mrs. Thompson, Mr. Desai, Mr. Mouline and my mom. Thank you for cheering me on, recruiting for me and providing JerseySTEM as a platform for SMC. As I look forward to the next chapter of my life, I wish you all the best with your future endeavors! This is my fourth year running SMC. I’m so happy to see many familiar names and faces. Thank you for returning to SMC! Abdd, Neel, Spencer, and Stephen! I’d like to mention Abdd especially since he did both CML and Mathcounts/AMC many weeks. Great job! I’d also like to thank Stephen for always checking my answers and pointing out corrections. 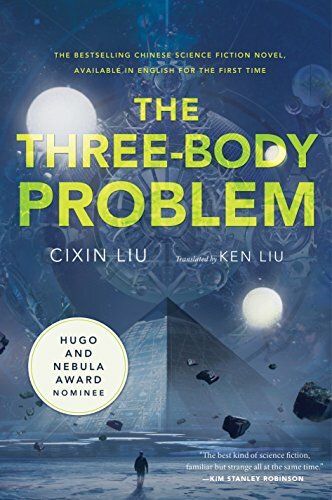 For the book prize, I picked The Three-Body Problem, a science fiction novel. Thanks to Mrs. Thompson for recommending. Happy New Year to all! I hope 2019 brings everyone good luck and good math. Abdd, Audrey, Julia, Neel, and Spencer! As I conclude the third year of SMC, one thing special about SMC 2018 is that so many top performers are female mathletes! A special high five to Julia, Audrey and Christina! Hope to see you all in Sept 2018. Julia, Audrey, Abhay, Neel, and Christina! For the book prize, I picked The Simpsons and Their Mathematical Secrets by Simon Singh. It is a fascinating book. Do you know if the following equation is true? You can try your calculator, but it won’t help. Your calculator most likely cannot calculate precisely. However, if you read the book you’ll see a 3-word explanation as to why the equation couldn’t possibly be true! Alec, Audrey, Spencer, Julia, Jason, Stephen, Gyan, and Om! When I wrote my reflection on the math corner at the end of Nov, I was eager to have more female mathletes. Indeed, Jason brought his sister Julia, and Audrey joined with her brothers Alec and Spencer. Welcome! Jason recommended a book on the golden ratio phi. I’m really excited to give out books on this magic number as the prize. Thank you, Jason! This is the 2nd year that I’ve run the math corner. Most participants are returning mathletes from last year. Here are my reflections of the season. I’m particularly touched by the continued participation from Rishi and Abhay, as Rishi has moved to CA and Abhay to India. I hope you stay with the math corner! We also have newcomers, Siddhant and Allen. Welcome! Sadly, there is ZERO participation from female mathletes this year. (Last year, we had a couple.) For next season, please bring your sister, cousin, friend or a neighbor! Abhay, Gyan, Jason, Om, Rishi, and Stephen! As a prize, I’ve picked the following book. I think it is fitting to read a statistics book that might shed light on why polling can go so wrong. Oct, 2016: I am hosting 2 face-to-face sessions for the upcoming AMC8 test. We are meeting Saturday evenings 5-7pm. AMC8 registration is through JerseySTEM. Date: 4:00pm, Tuesday, November 15, 2016. Apr 2, 2016: We gave out another round of prizes to reward top performers for the past 2 months. Congratulations to Gyan, Jason, Peter, Rishi, and Stephen! This time the prize is a book called The Man Who Knew Infinity by Robert Kanigel. 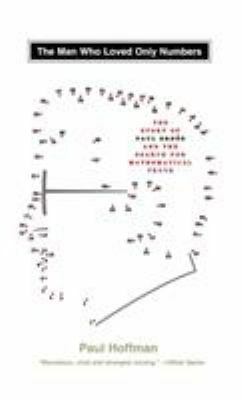 The book is a biography of a legendary Indian mathematician Ramanujan. A movie, based on this book, is coming out soon. I look forward to seeing it! Jan 31, 2016: We gave out the third round of prizes to reward top performers for the past 2 months. Congratulations to Gyan, Jason, Om, Peter, Rishi, and Stephen! This time the prize is a book called The Poisoner’s Handbook by Deborah Blum. The book is about the birth of forensic science in the early 1900s with thrilling murder mysteries. Abhay, Aryaan, Emily, Jason, Om, Stephen, Sebastian, and Tanvi! This time the prize is a book called What is the Name of This Book? by Raymond M. Smullyvan. This wonderful book is full of riddles and logic questions. “If a rooster lays an egg on a roof with 2 slanted sides, one at a 60-degree angle and the other at a 70-degree angle, which side of the roof will the egg fall off?” Do you know the answer? Nov, 2015: I am hosting 3 face-to-face sessions for the upcoming AMC8 test. We are meeting Sunday afternoons 3-5pm. AMC8 registration is through JerseySTEM. Date: 4:30pm, Tuesday, November 17, 2015. Jason, Om, Sebastian, Stephen, and Tanvi! The books given out were A Short History of Nearly Everything by Bill Bryson and Steve Jobs: The Man Who Thought Different by Karen Blumenthal. The prize giving was part of a monthly event at Tech: Vineyard hosted by JerseySTEM. Although I guiltily skipped the rest of the program for a Halloween party (like many of you), I heard from my family that it was a fun-filled evening. There was a live demo of a drone together with an announcement of an upcoming JerseySTEM program on drones. Prof. Konsolaki from Rutgers then gave a fascinating talk on Alzheimer’s, including how it affects the brain and the ongoing research efforts to understand and combat the disease. She showed videos in which transgenic flies were much friskier in old age than the “original” versions. The evening finished with a movie on optical illusions, which showed many examples in which human brains play tricks on visual perception. Not only can we, intelligent human beings, be misled about colors, sizes, and motions of an object, but sometimes we can even confuse a fake hand with our own!